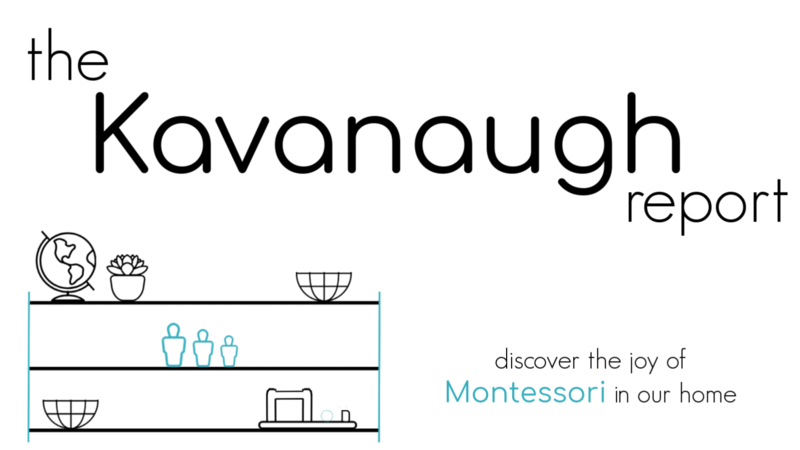 Preparing a Montessori space for your baby can be super fun! And, nothing beats watching your little baby learn, grow, and explore that space. 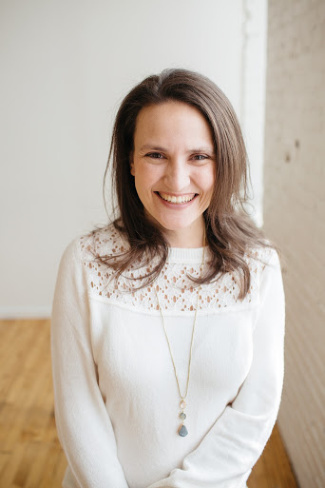 But, the process can feel a bit more daunting when you have an older child too. There's suddenly safety concerns for your baby - you don't want to your older child to accidentally hurt the baby, and you don't want the baby to eat alll the things. There could be space concerns - how exactly do you fit everything in? The good news is that there is no such thing as a perfect space. There will always be some give and take when you have multiple kids. So, let that pressure go. But, there are a few things to keep in mind that can help make a shared baby space more successful for you and your kids! 1. 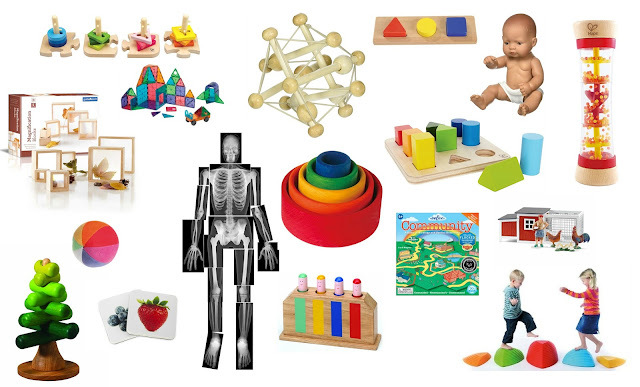 Own space for things - Give your baby his/her own space for toys and materials. This will provide some sense of order for your baby and help your older child define which space is for the baby. 2. Visually define the baby's space - Use a blanket/mat/pad on the floor to show which area is the baby's. We've always just used a blanket (even on top of carpet.) This visual reminder is great for young children. They can be shown how to walk around this area, or to keep small toys out of this area, for example. This helps keep the baby safe, especially when they baby is tiny. For an older moving baby, this is less effective. 3. Put some physical space in between the older child's and baby's areas, if possible - If you can separate the play areas as best you can. Put them on opposite walls, or across the room from each other. I still like it when a baby can visually see the whole room (that's modeling at it's best) so try not to wall off the baby into an area that is not accessible. 4. 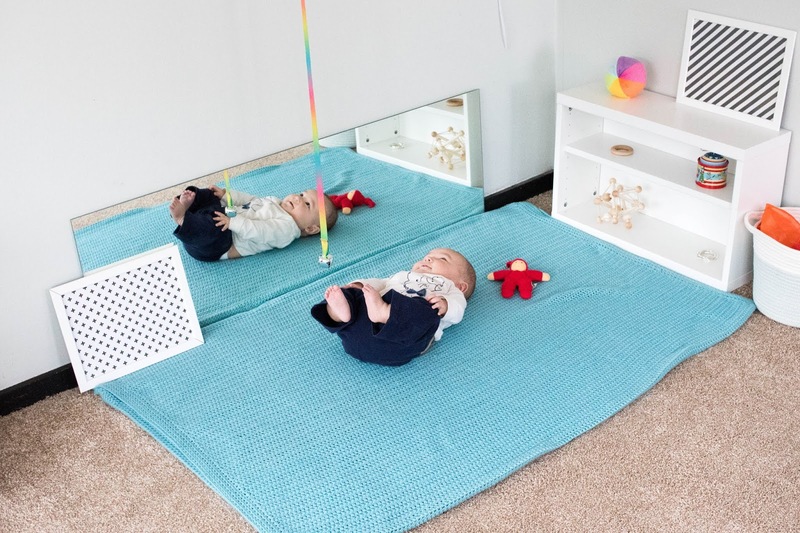 Create a physical obstacle between the play spaces, if possible - this is helpful if you have a baby that is starting to move toward the bigger kid play area but isn't super efficient yet. 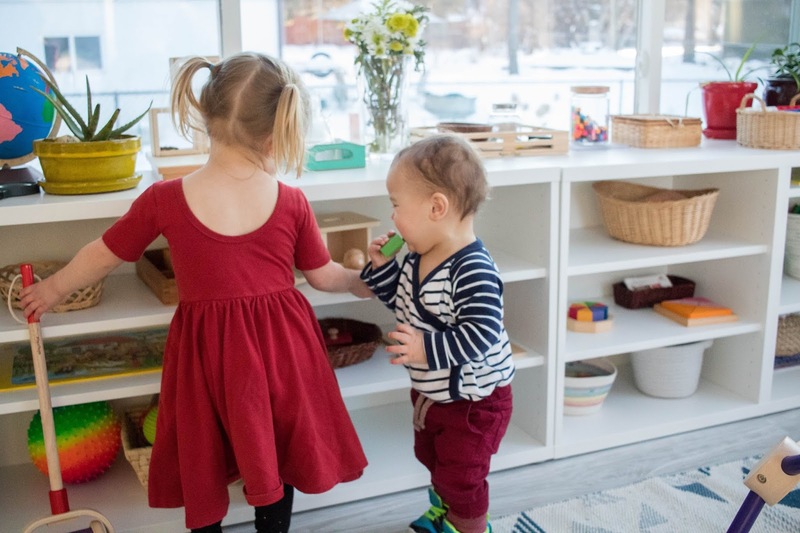 The right placement of a low foot stool, a Pikler Triangle, a table/chairs, or some other obstacle that could attract a baby or slow him/her from reaching the older child play shelf. 5. Use height to your advantage - Thankfully, babies start off pretty small! If you can't separate the baby's things and the older child's things, make sure you use height! Can you hang a wall shelf up higher for your older child? Or move everything to a high shelf and then push it all the way to the back? 6. Use containers that are more challenging to open - For most older children the material is going to be more captivating that the container it is placed in. But, this isn't true for babies who are often just as captivated by the container. If you put an older child's work in a locking box or basket with a lid, for example, your baby can safely explore without a safety concern. 7. Include a clear place for your older child to work - Make sure your space includes a defined place for your older child to work. Whether that's a table and chair, a chowki (small table without chair), or a work mat - make sure you have something and that your child is capable of moving work to this area. This helps to make sure that small pieces are contained to a specific area and are easier to see and clean. If this space is high enough off the ground (may not be possible if the "older child" is still pretty young) then it may even be a safe from the baby. 8. 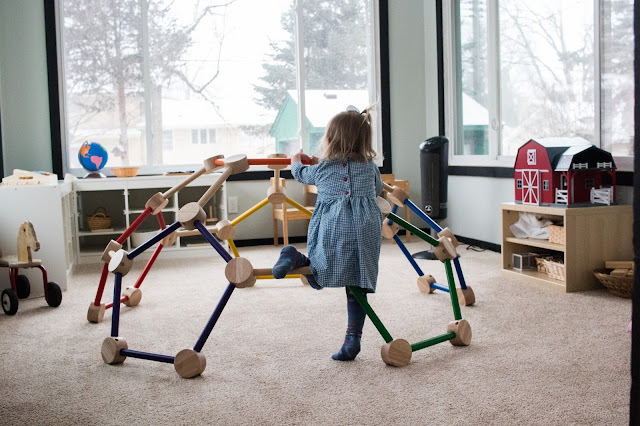 Set limits around your older child's use of a material - It's not developmentally appropriate to try and restrict a baby's movement or exploration of a space. But, you can provide limits to an older child. You can make it clear to that child where a work could be done "we use scissors at the kitchen table" or "lego can only be built in your room." for example. Or, you could ask that your child let's you know when they are working on something so you can closely watch a baby. Or you may, if your baby is very curious and mobile, only bring certain materials out when the baby is napping. The exact limits will depend on your older child's age, development, and the specific set up you have in your home. Have you had a shared space between an older child and a baby? Did you try any of these tips? Thank you! Very timely for us over here.